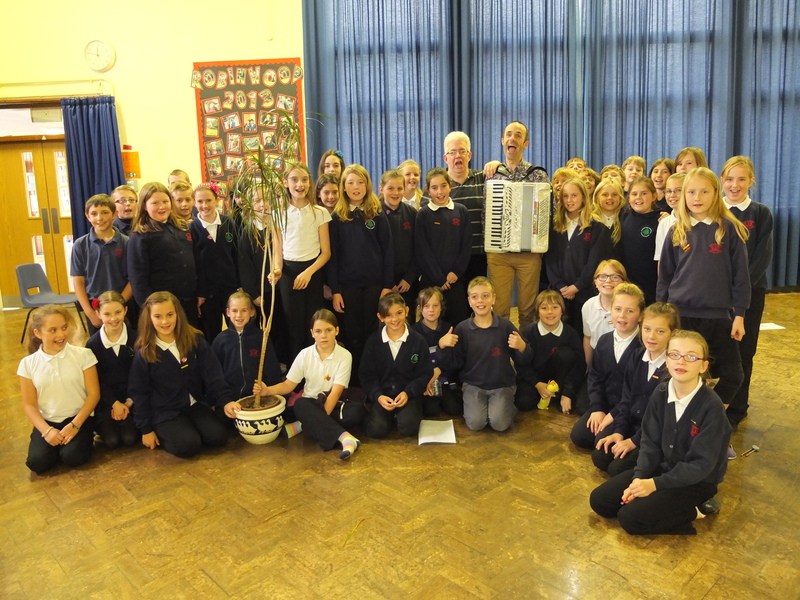 The second music workshop was at Stocksbridge Junior School. We spent the day in the hall, creating poems and songs, and taking the mickey out of the teachers and staff who came through the hall. The song about the dinner ladies was a great hit. We never found out who the paper thief who kept walking through was. But after lunch, the focus was again on a moving creation of a new musical poem about the life of people in the first world war. The childern were great. Here’s one of the photos. Thank you to Sarah Meaburn who facilitated the event at the school.